Sami Salo has called it a career. According to the IIHF's official web site, the 40-year-old Finnish defender has retired from pro hockey. A veteran of 15 NHL seasons with the Ottawa Senators, Vancouver Canucks and Tampa Bay Lightning, Salo scored 99 goals and 240 assists in 878 career games. 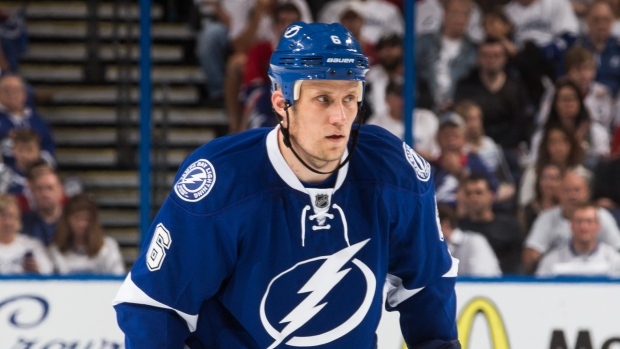 Salo had not played an NHL game since sustaining a sever wrist injury during the 2013-14 season. Originally selected in the ninth round (239th overall) of the 1996 NHL Entry Draft by the Senators, Salo enjoyed early success with the club before breaking out as a consistent offensive performer with the Canucks in 2002-03. He represented Finland internationally on numerous occasions, including four Olympic Games. He took home a silver medal from the 2006 Games in Torino and won bronze at both Vancouver 2010 and Sochi 2014.